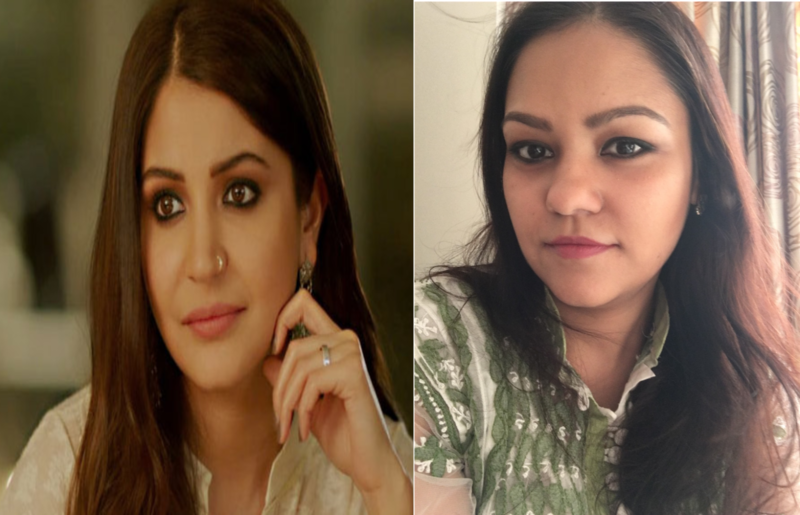 While most of us are eagerly awaiting the release of Ae Dil Hai Mushkil, I have been obsessing over the kohled eye look sported by Anushka in the movie. Here's my recreation of the look, hope you guys like it! The first thing I noticed was the flawless skin Anushka is sporting, which is making the eyes pop more. So I went ahead and grabbed my Chanel Vitalumiere Aqua foundation and applied a generous dab of it all over my face. Slightly contoured my face using a bronzer and applied face powder all over to set the base. Followed this by peachy pink blush from NARS to complete my face makeup. I have used the Naked eyeshdaow pallet, naked all over the lid, buck in crease, and dark horse in the outer v of my upper eyelid. Next, I lined both the upper and lower lash line with perversion eyeliner pencil from urban decay and since it sets very quickly, I smudged the liner using black eyeshadow from the Naked Pallete very quickly. In the inner corners, I have applied the shimmery golden shade from the Naked pallete as well. Applied loads of L'real Mascara and filled in my brows. You could also opt for falsies depending on your preference, but I didn’t. Finally, lined and filled in my lips with catrice lip liner and followed it up with Sugar Peacy Little Liars lipstick. And may I say, an awesome combination, gave me a lipcolour almost close to what Anushka is wearing. Forgot to include the Chanel Foundation in the pics. Also, please excuse the inclusion of Maybelline Hyper Glossy liner in the product pic above. Have you tried the Kohled eyelook yet? Let me know what you think of my look in the comments below.